Liverpool’s summer signing Naby Keita is reported to have turned down transfers to big names like Barcelona and Bayern Munich just so he could work under Jurgen Klopp. The 23-year-old midfielder joined the Reds this summer after impressing in the Bundesliga, establishing himself as one of the finest in Europe in his position. 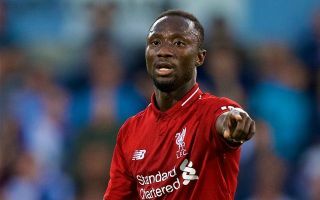 Keita looks an ideal fit for Liverpool’s style of play under Klopp, and the Independent claim the chance to work with the German tactician had a huge impact on the player’s decision. The former Borussia Dortmund manager is certainly one of the most intriguing tactical minds in the game, as well as being a real charismatic character who seems hugely popular with his players and his fans. Liverpool generally seem like a side on the up under Klopp, so it’s not too surprising to learn that Keita was desperate to make this move and willing to snub other major offers to do so. ‘It’s true to say that there were other teams involved like the ones you mentioned,’ Keita is quoted in the Independent. ‘But a big part of my decision was the role of the coach. We had good conversations a year ago. The words he spoke to me about this project really convinced me.